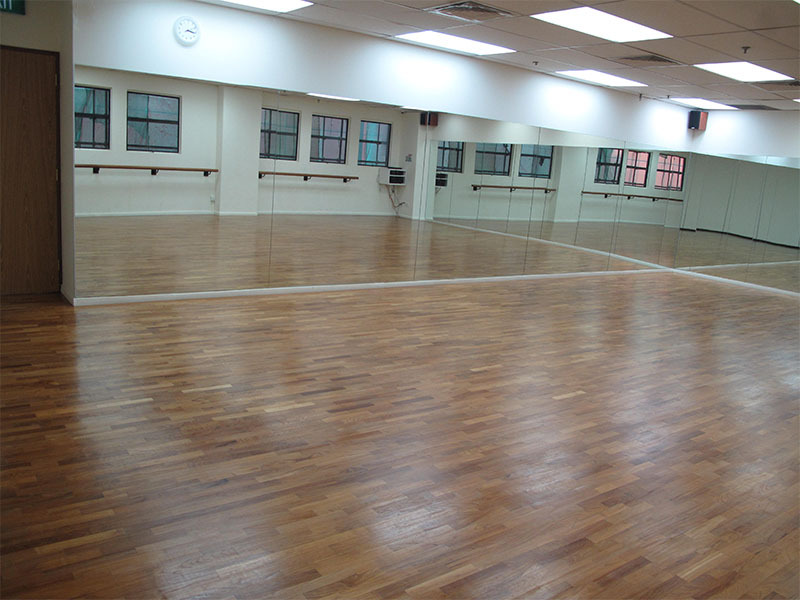 The Ballroom Studio is perfect for larger scale events. It comprises the Violet and Lilac Studios, and should fit up to 50 persons. 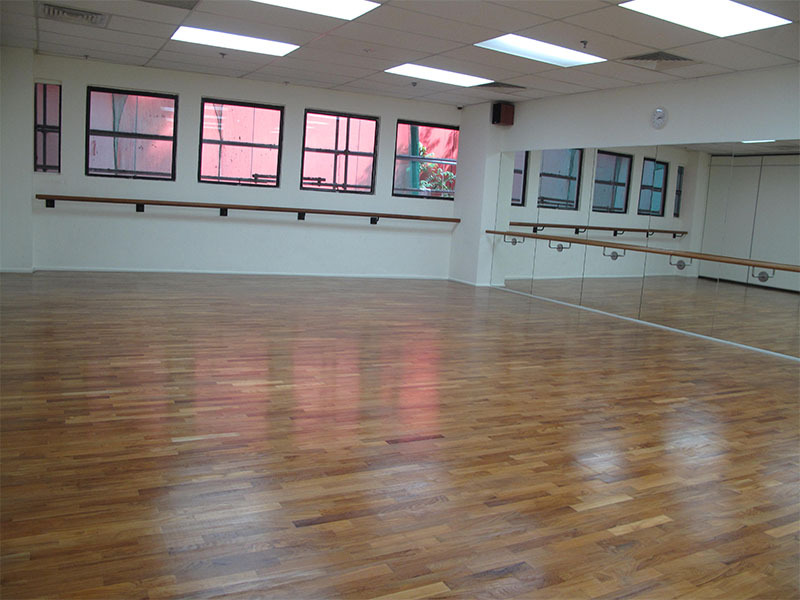 The Ballroom Studio has high quality sprung floors, and is fully equipped with full-length mirrors, ballet bars and an audio system. 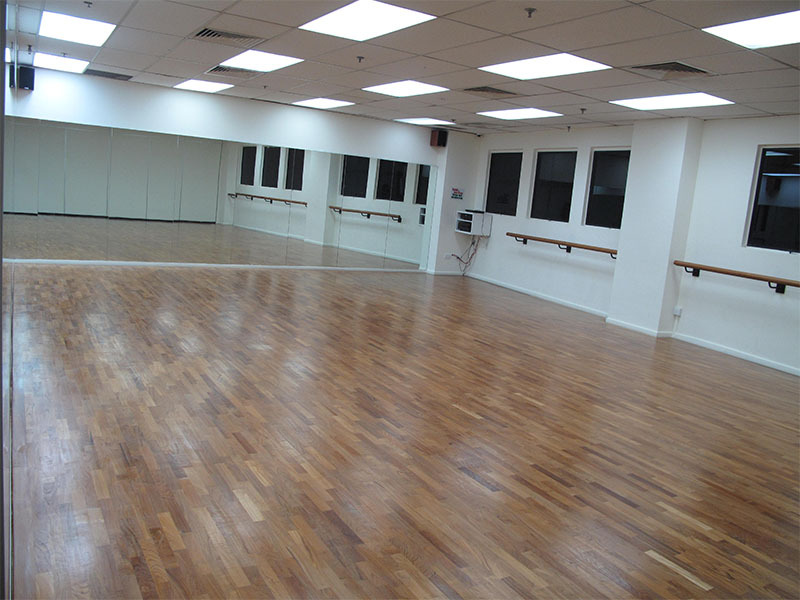 The Ballroom Studio is NOT overlaid with a dance mat. It boasts beautiful teak flooring. As such, activities that uses dance shoes that will harm the beautiful floor will NOT be allowed in this Studio. Examples of this would be Flamenco, Tap Dancing, Pointe Shoe Training or any other activities that use street shoes with marking. These are all NOT ALLOWED in this Studio. Thank you!